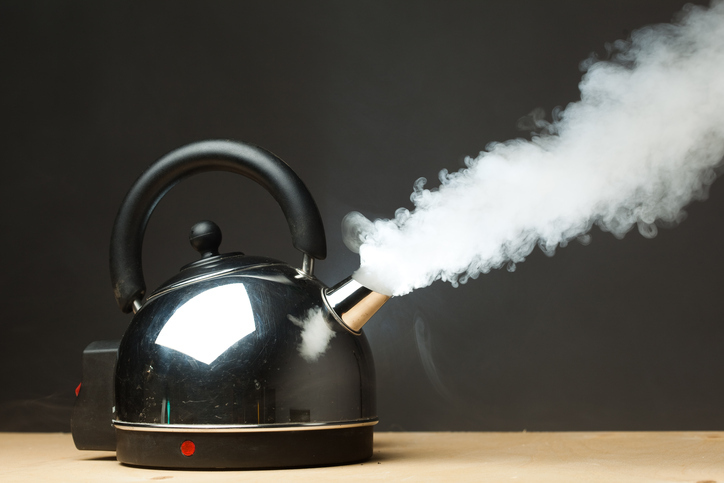 Steam is water in a gas or vapor form. Steam fills the bathroom whenever Jesse showers. If you inhale the steam from your hot tea, it will help your cold. Steam the vegetables for three minutes to retain the vitamins. The tailor steamed the jacket after he sewed on the collar. When the chef opened the oven, her glasses steamed up. The car windows steam up during a rainstorm. steam bath: a room filled with steam for the purpose of relaxing and cleaning. steam engine: an engine, usually on a train or boat, powered by steam. Enjoy Peter Gabriel’s music video of his song, “Steam.” Watch for the steam bath and steam engine. Do you think this video is steamy? There are other meanings of steam.